I am new to quilting, it is something I had wanted to try for a long time but always felt intimidated by. So, I started out with a baby quilt pattern from Nancy Zieman's Quilting with Confidence (I thought this book also had great tips for finishing quilts and cutting, etc - perfect for the first time quilter). It was easy and turned out great. 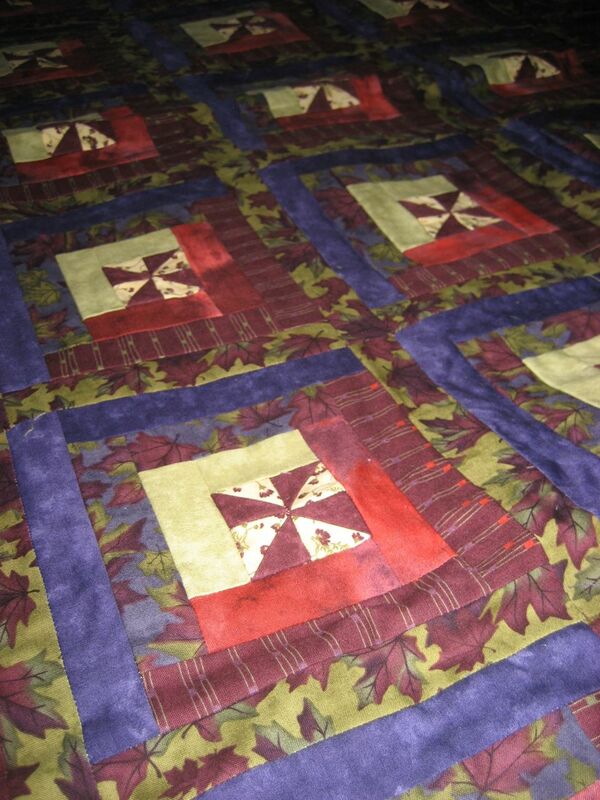 After that under my belt, my husband's aunt Jil helped me plan a quilt for my mother. 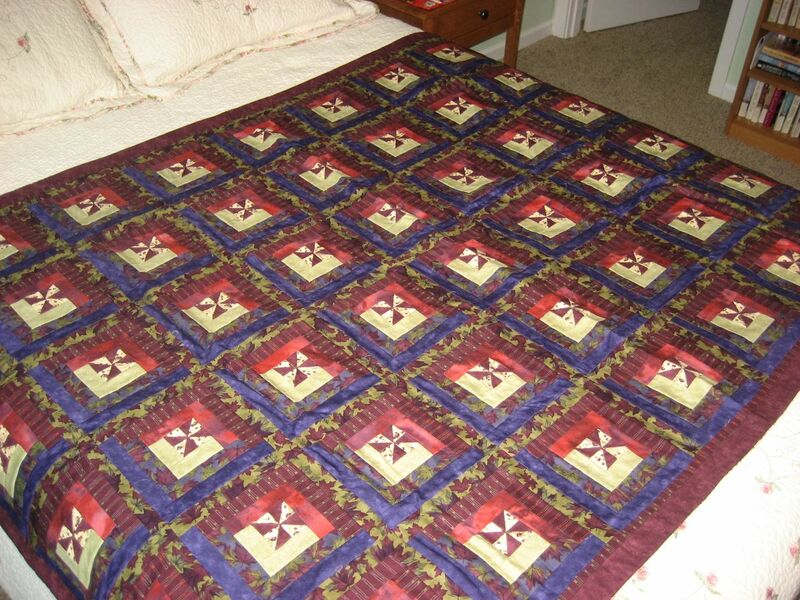 The quilt has a windmill center with a basic log cabin surrounding it. 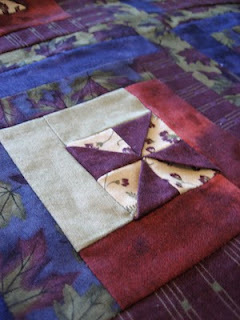 I think the windmill centers add interest to the quilt because they are three-dimensional, rather than flat. I don't have any construction photos, but here are some shots of the finished quilt. 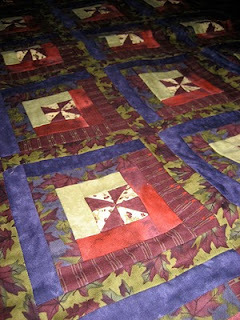 The fabric for the quilt was also a gift from Aunt Jil. The quilt is even more beautiful up close and personal. You definitely have what it takes to be a star quilter.